Your body needs nutrients from your environment, specifically, through your diet, for it to function normally and keep itself safe from potential threats, such as a disease. Quercetin, although not as well-known as most antioxidants, is a natural chemical you can obtain from eating plants. It can do wonders for your body, especially when supported with vitamin C.
Vitamin C, which is otherwise known as ascorbic acid, is a powerful antioxidant found in most fruits and vegetables. It is considered a natural shield against various diseases since it helps boost your immune system and protect our cell from oxidative damage. 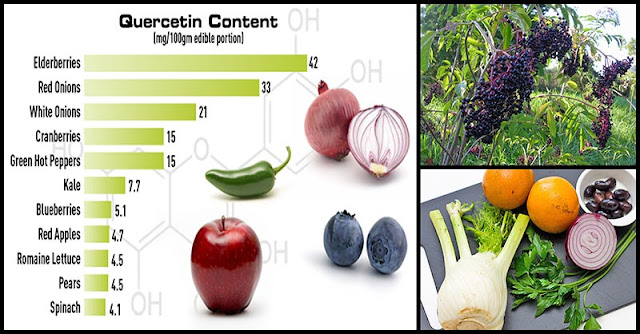 Quercetin can be found in leaves, fruits, seeds, and flowers. Its primary role is to protect plants against threats, such as toxins and infections in the environment. 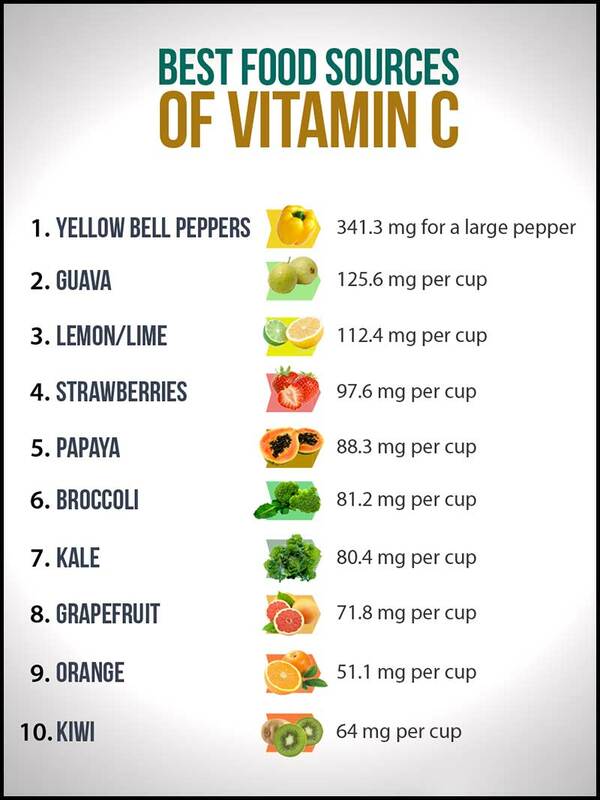 When you ingest and pair it with vitamin C, it also benefits your body. Different heavy metals are collected by your body from the environment and this involves the food you eat. That is why it is really necessary to avoid those plants treated with pesticides. High consumption of heavy metals like lead, cobalt, nickel, and aluminum, can lead to metal toxicity. Due to the chelating properties of quercetin, it can help limit your risk of toxicity from lead and it also reduces its level in the body. Quercetin is a powerful antioxidant and just like vitamin C, it hunts free radicals that damage your cells and cause diseases like cancer and neurodegenerative conditions, such as Alzheimer’s disease. Quercetin inhibits the release of histamines thereby making it effective against common symptoms of itching, watery eyes, and hives. Aside from this, it can also be taken ahead of exposure as a means of preventing allergies. This chemical is also being studied as a possible treatment against anaphylactic reactions. Plus, quercetin has the ability to suppress leukocytes in both the lungs and bloodstream leading to a relaxed airway passage and more elastic lung tissue. Due to these, quercetin is considered to be a potential treatment for asthma, which is usually triggered alongside allergies. Quercetin lessens the occurrence of inflammation in your body. Inflammation is part of your immune system’s response, especially in the presence of bacteria and toxins, however, too much of it can lead to serious health issues, including cancer and heart diseases. 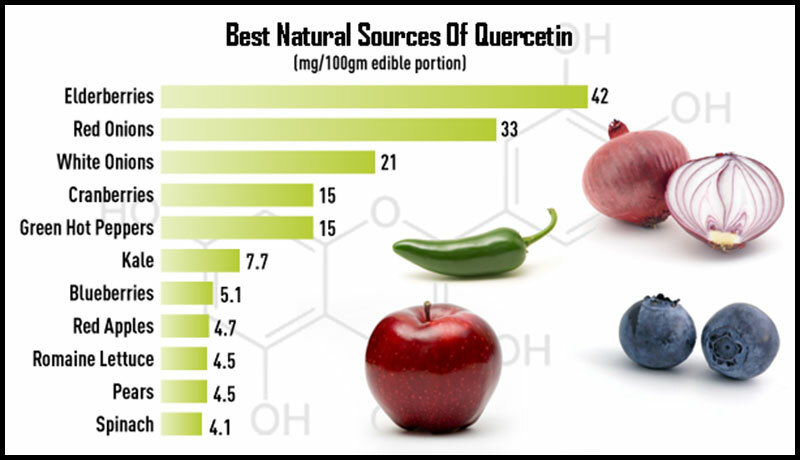 Quercetin can inhibit the expression of the pro-inflammatory molecule cyclooxygenase (COX). Aside from reducing the risk for cardiovascular disease, there are other reasons why quercetin is good for your heart. There were studies showing that it helps to normalize and lower high blood pressure, which is a common precursor to heart disease. According to many animal studies, quercetin can inhibit cardiac hypertrophy, one of the off-shoots of hypertension. 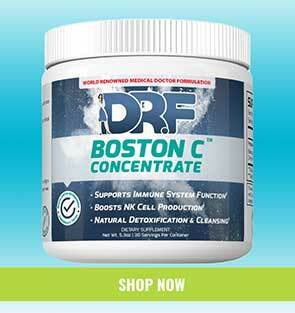 Additionally, this antioxidant also helps thin out the blood by making platelets less sticky. It promotes the production of nitric oxide, which is an important chemical that dilates the blood vessels, thus resulting in a lower risk of heart attacks caused by stifled blood flow.